Hey Pop Culture Shockers! Another day, another recipe. I hope that everyone enjoyed yesterday’s recipes and that maybe you had an opportunity to try one… or two. So, before you ask, no. No, I’m not turning into a baking blog or anything else; I’m simply sharing my newly found hobby. Yesterday, I talked about having a craving for blueberries and lemon. Well, today I indulge that craving. I spent most of the day working in the yard. After a lot of hard work, I figured that I deserved a little something sweet. Here is today’s delicious bit of yummy. Preheat oven to 350°F. Line the bottom of a 2.5 quart Pyrex baking dish with parchment paper and set aside. Using a food processor blend the graham crackers and sugar until it looks like bread crumbs. Add the melted butter and pulse a few times until incorporated. 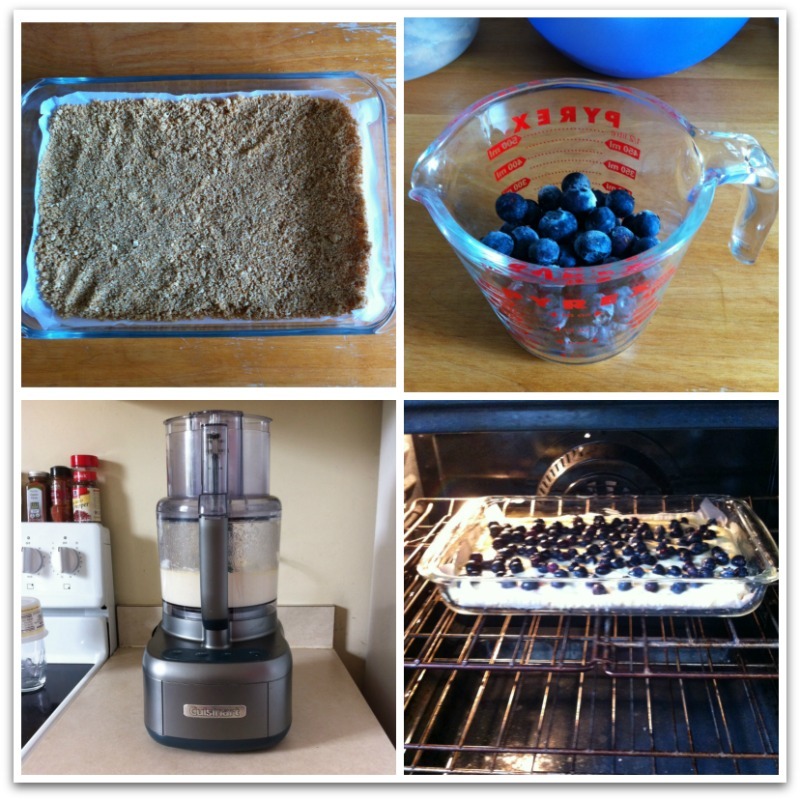 Press mixture into baking dish and bake for 12 minutes. Allow to cool while you prepare the filling. In the food processor, mix cream cheese, egg, sugar, lemon zest, lemon juice, and vanilla extract together until smooth and creamy. Pour mixture on top of cooled crust. 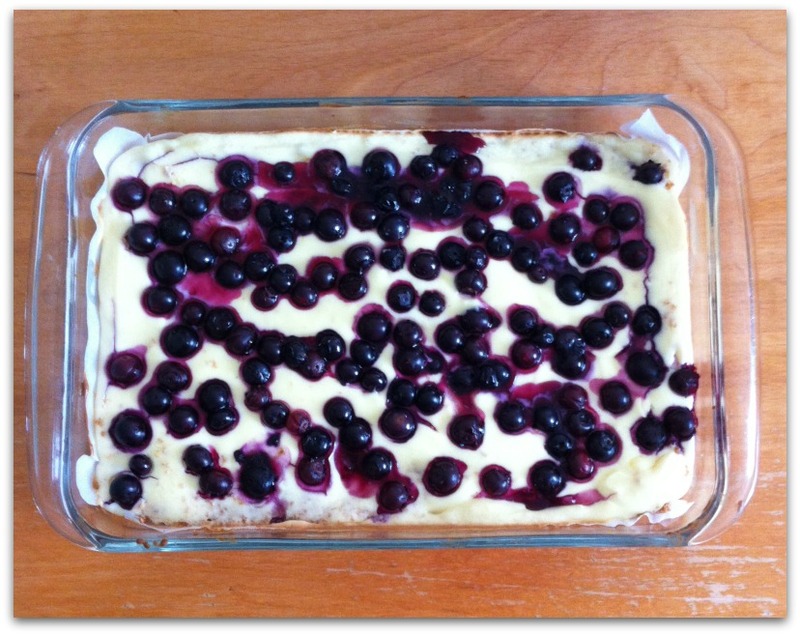 Bake for 30-35 minutes, or until the cheesecake has set up and the edges are lightly browned. Cool for about 30 minutes at room temperature on a wire rack and then chill in the refrigerator for at least three hours. Lift the parchment out of the pan and cut into squares. Notes From The Web: One thing that really bothers me about recipes is when the recipe calls for, well; let’s say lemon juice and zest. Lemons differ in size so it’s kind of difficult to figure out how much zest and juice to add. I looked it up and apparently 1 medium-size lemon = approximately 1 tablespoon of lemon zest = 2 to 3 tablespoons of lemon juice. Happy Cooking!